With this week comes more doctors and appointments, more phone calls and more prescriptions, with more major decisions needing to be made. Since last week, I am significantly less nauseated, and I have even managed to keep a few meals down. My new ailment, though? My sleep is eluding me again. I am up at all hours of the night. Up and down. Tossing and turning. I find myself wide awake at 4AM watching Enemy of the State or some other nonsense that’s on. It has been 2 weeks to the day that I went to IU for the Double Balloon consultation, and me being the impatient person I am, I made sure to call them earlier this week to start planning for the procedure. If you remember, Dr. B had stated that it could be months before they had an opening, so I wanted to make sure the procedure was sooner rather than later. The quicker I can get this Crohn’s diagnosis under control, the sooner I can be put on medication to get my body into remission. I called IU on Monday and tried to schedule the procedure, but the nurse couldn’t find information, and had to call me at a later time. I received a return call on Wednesday, and, it turns out that Dr. B had put it in my notes that he wanted the Double Balloon, but he did not send the request to scheduling. So, had I not called, then no one would have been calling me to schedule the procedure and I would have been waiting a long time. Why does there always have to be something with every doctor visit? I seem to be the only one in control with any idea of what’s going on. With every scheduling call. With every appointment. It’s a good thing I am relentless about my doctor visits and scheduling because this sort of thing happens so often to me, where there is some lacking of communication in the system, that I can only imagine someone else dealing with a diagnosis and they are not as fixed as I about getting things done. I went with August 19th at 1130AM – the only ‘free’ Friday or weekend we have until mid-September. That means I will have to be at Indiana U at 9:30AM, for all the fun additives to the procedure like getting into the parachute gown, getting the dreaded pregnancy urinalysis out of the way, and getting hooked up to the saline drip that I can taste. Either way, I got it scheduled sooner than imagined. The downfall? I have a multitude of appointments that week. I’ll not only have the DB that Friday, but I will have my MSK appointment for my hands that following Monday, and then I will finally meet my new GI doctor that Thursday to discuss the future of my Crohn’s. Hopefully, I can get some answers from the Double Balloon to take to the Gi appointment. That week will be hectic, but it would be great to get ALL of my Crohn’s issues fixed all at once. On Thursday, I had a consultation with Neurology at the VA for my migraines. The VA could only give me 9 pills of Imitrex (migraine medication) per month, and those are gone in no time when you can take 2 a day, so I had to see Neurology in order to get a better plan of healing. The nurses at check-in actually thought I was someone’s daughter coming with the patient for their visit. They couldn’t believe I was the patient! Yay! Another New Doctor! 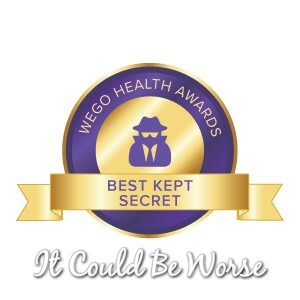 For this appointment, I got attending #2 – a Dr. A.
Dr. A could not have been any older than I, but he seemed confident in his knowledge of Neuro and my migraines. He asked some background information, looked into my eyes with some of his tools, and he questioned things like my caffeine intake and what my ‘triggers’ were, some of the basic things I expected. Then came the fun questions, and our Infertility journey hit another ‘speed bump’ in our plan. – See Infertile Myrtle, Infertility is a sadness, So You’re Sayin There’s A Chance, Is All Hope Lost, Again? For my migraines, Dr. A had a plan, but one stipulation is that you cannot be pregnant while taking the meds. The two meds, Topamax for migraines and another for nausea, I would take them every day. The negative is that they may cause birth defects or other pregnancy problems may develop if you did become pregnant while taking them. The meds could take up to 3 months to help or have an effect, so that pushes our plan back another few months. So, do I take the meds, and hopefully help my recurring migraines? Will I also have to start Crohn’s needs that have the same effect? Or do we still plan on our IUI plan for September? Does this delay us a month? Two? With every appointment, it seems that the medications that are supposed to fix my issues are in fact my nemesis. I want more than anything to be a mother, to add to our family, but I also need myself to be healthy first. How am I supposed to make that decision? Clearly, working on ‘fixing’ me is supposed to be a priority, but if you have kept up with my story, you will see my need and longing for parenthood. You will see the struggle that we have been through this far, just to get postponed longer. But for how long? I did have the option of different meds, but mainly herbal supplements or vitamins, and Dr. A believed this plan would help better and faster. If it doesn’t help, then that changes the plan, but for now, our IUI journey is on the backburner. Again. I want to be happy and positive, but my life has been the exact opposite for 2 years. I want to feel better. I want to feel like I used to. I even suggested getting the ‘migraine piercing’. This is an ear piercing on/in the daith. I am not sure if it works, but hey, it’s worth a shot if it could help even a little? Anyone who has migraines know’s that when it gets bad, you are willing to do or try ANYTHING to make it go away. No only do the Crohn’s medications cause problems, but now the migraine medicine does too. 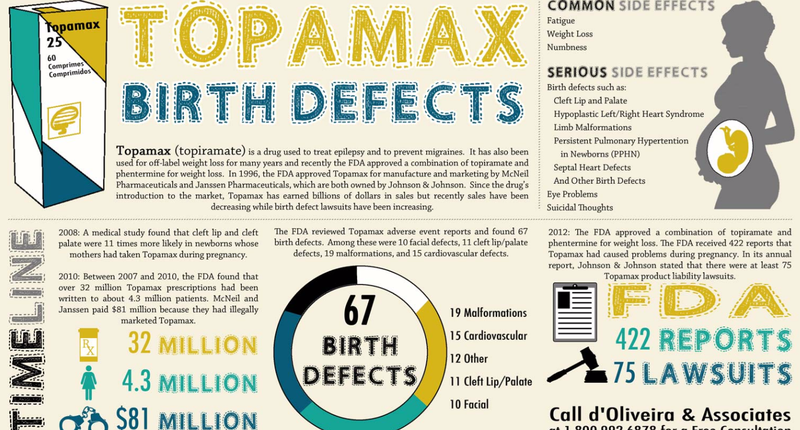 In addition to no baby making, the Topamax can actually cause me to be dumber. Yes, dumber. Side effects “may include” brain fogs like looking for words but not finding them and forgetting what you were going to say, nausea and weight loss- at least there is one positive! I will start that medication on Monday (the 1st) because I like knowing exactly when I started and when I will stop this treatment. With this plan, I know my 3-month plan is over around Nov 1, and a follow-up appointment can be scheduled. Mary’s Daily Meds so far: I feel like an old lady. I need a weekly pill container to sort them all. I am going to have to sew the siding back together since I have been so crafty this week in between it all. Check out Facebook for daily updates! – We hit 200+ Likes! Thank YOU! So What If I’m Bitter? So Your Sayin’ There’s A Chance?